Every January, I like to do a fridge deep clean. 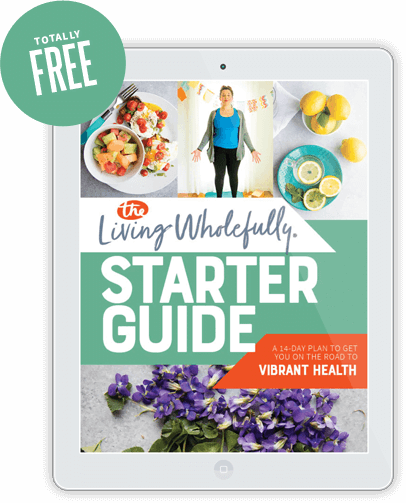 It just happens to coincide with the time of the year when we are all craving a bit more organization and a few more veggies—so it really is the perfect time to dive into such a project. 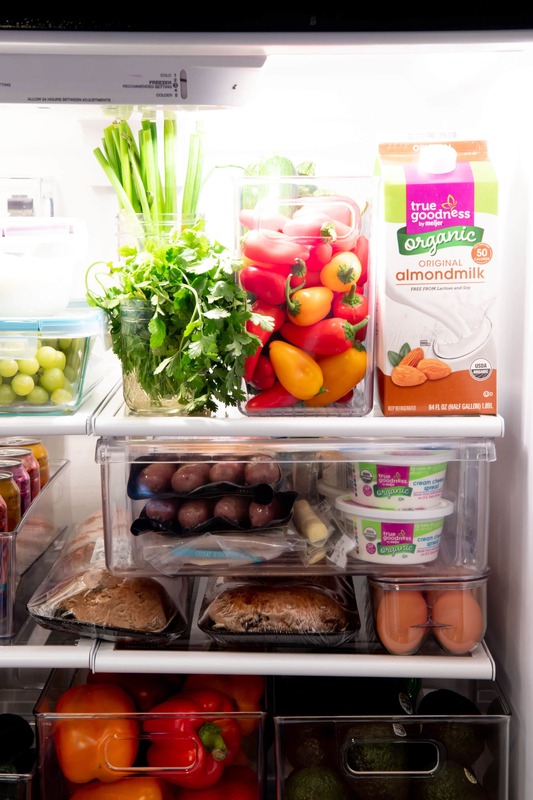 If one of your resolutions for this year was to eat more healthfully, then you must organize your fridge! 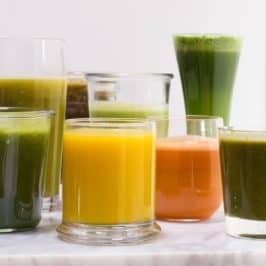 It’s a perfect mental, visual, and literal reset for your diet. Trust me, it’s a lot easier to eat a healthy diet when your fridge doesn’t look like this. So grab your rubber gloves and a wicked big trash bag (you know you have some science experiments hanging out in there), and let’s get to work. First up, we gotta get to cleaning. Out with the old, in with the new! 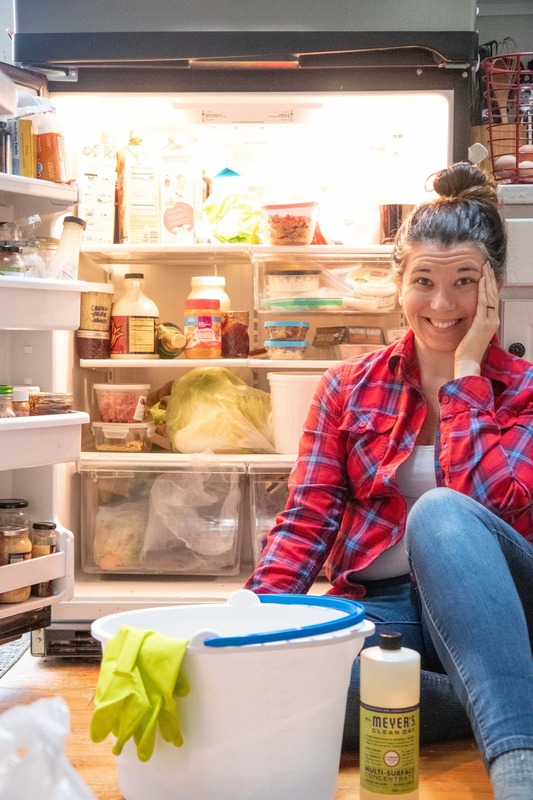 You need to literally pull every single thing out of that fridge. Toss anything that is expired or iffy. I also recommend tossing anything you don’t want to eat (or donating if it isn’t opened). 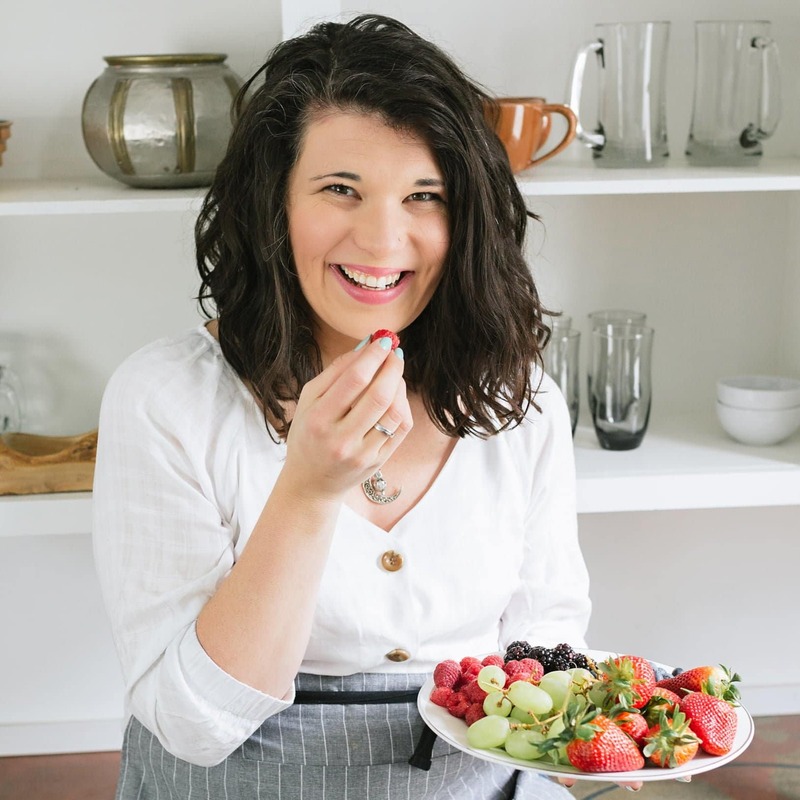 If you’ve resolved to go sugar-free this year, but your fridge is still stocked with a cheesecake, guess what’s going to happen when you have that particularly bad day at work? Toss it. We feed a lot of stuff to our chickens and the compost gods during fridge clean-out day. 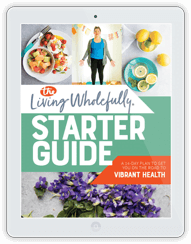 OR, if you live with other people who maybe don’t share your go-getter attitude when it comes to clean eating, think about moving your food to a second fridge or placing those tempting foods in an opaque container. 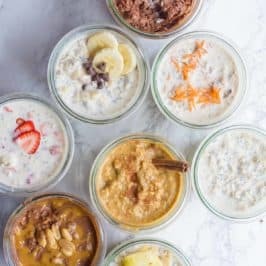 I don’t believe any food is “bad,” but if there are certain foods you want to stop indulging in (or just slow yourself down), an opaque container can go a long way to making sure you are eating mindfully—if you want that slice of cheesecake, I want you to really want it. I want you to sit down and enjoy every last morsel—don’t just grab it because you see it and it’s there and easier to grab than carrots. While everything is out, go ahead and do a deep clean. 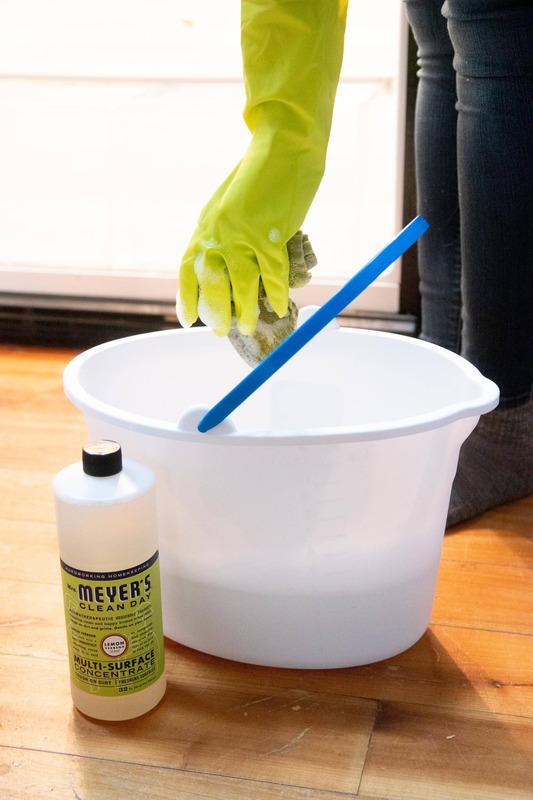 I like using Mrs. Meyer’s Clean Day All Purpose Cleaner that I get at my local Meijer store (they have an unbelievable selection of all the Mrs. Meyer’s products!). I fill up a bucket and go to town, washing every surface in the fridge. 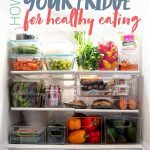 You might be tempted to skip this step, but trust me, there is something about a sparkling clean fridge that just inspires healthy eating. And while it’s all empty, you might as well, right? Now it’s time to put everything back in—but do it mindful of your goal. A beautiful fridge stocked with healthy food really does inspire healthier eating. 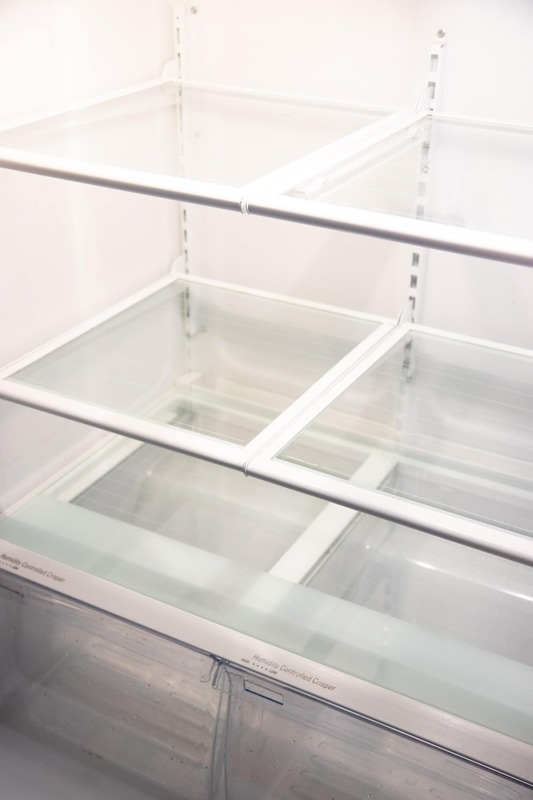 To organize my fridge, I hit up my local Meijer store and headed to their kitchen organization section, where I stocked up on all shapes and sizes of clear fridge bins. These bins are great because they help divide up the space while still keeping the goodies in clear view. 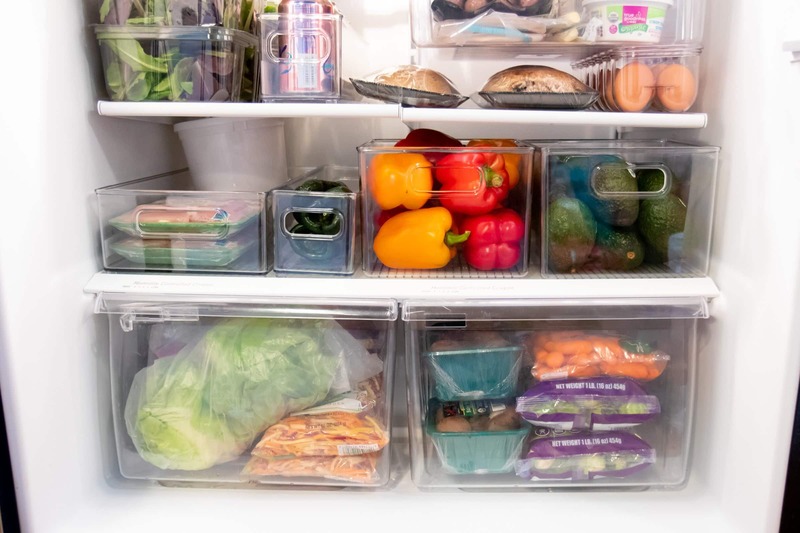 These clear bins also help you expand past your crisper drawer. 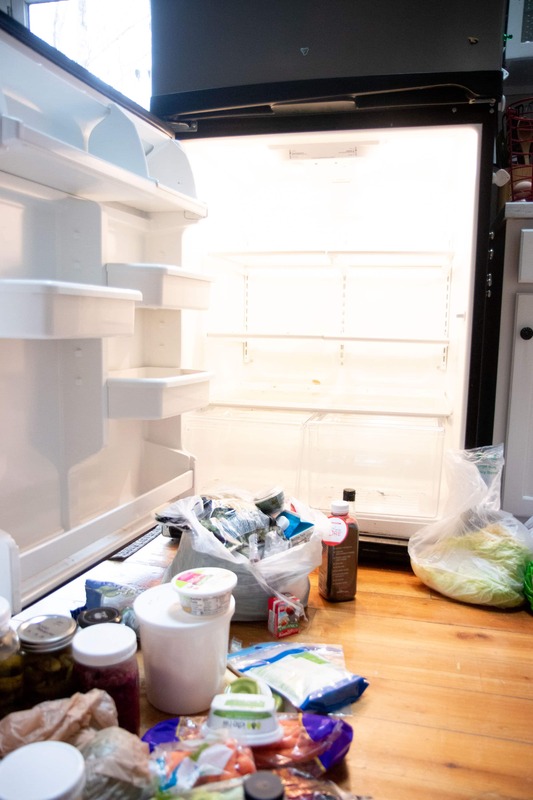 Fruits and veggies are supposed to be at least half of what’s on our plate, but the crisper drawers are maybe 20% of the fridge—it doesn’t make sense! So don’t limit yourself to just the crisper drawers. 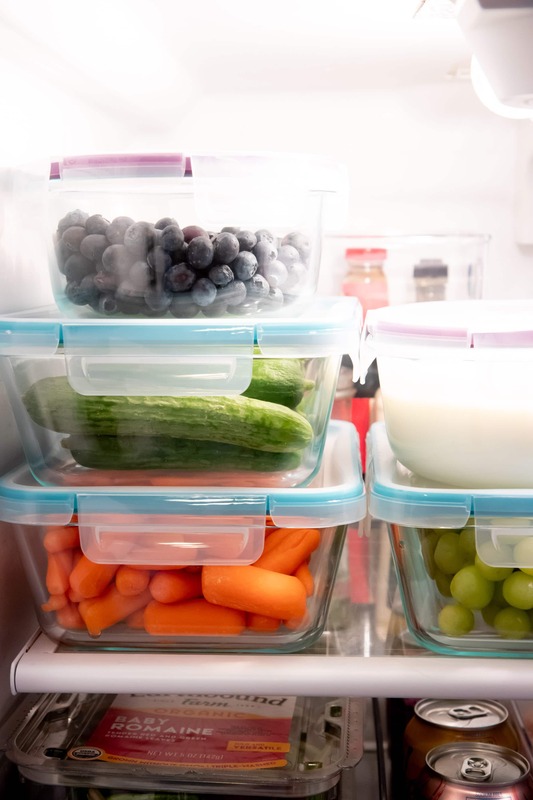 Use bins and shelves to store fruits and veggies throughout the fridge. 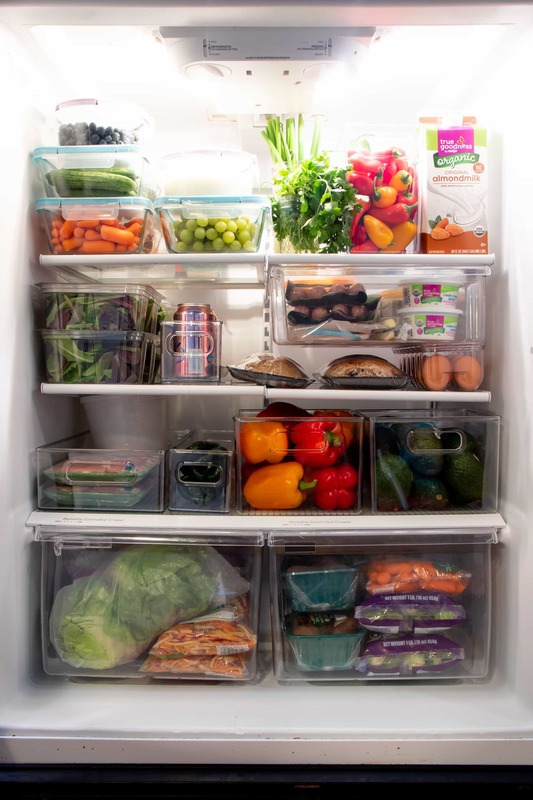 Also, if you happen to have a fridge with an opaque crisper (I did at my last house), use those drawers for other foods—cheese, meats, eggs—and move the fruits and veggies up and out to the light of day! Every time you open that fridge, you want to be inspired by all the colorful produce waiting for you. Opaque crispers are where produce goes to die. I highly recommend prepping your snacking fruits and veggies when you get home from the grocery store. 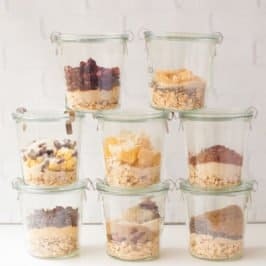 Wash them, chop them, and store them in clear glass food storage containers (which I also grabbed at Meijer) at eye level. 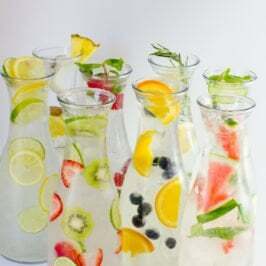 Just like with the clear bins, having these fresh fruits and veggies ready to go and visible makes them the easy choice—and with all of our busy lives, the easy choice so often wins when it comes to what’s on our plates. And it’s that simple! Now, whenever I open my fridge, I am inspired to dive into all that healthful goodness. 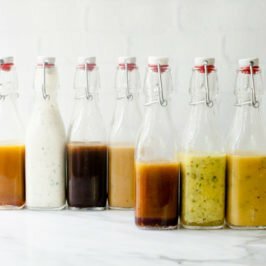 Eggnog, who? Wholefully is a proud member of the Meijer Ambassador program. Learn more about the great things happening at your local Meijer store by following them on Instagram, Facebook, Pinterest or by checking out their website. When I lived in Illinois, I discovered Meijer! And I fell in love! Definitely one stop shopping! I now live in Tennessee and I missthat store so much!